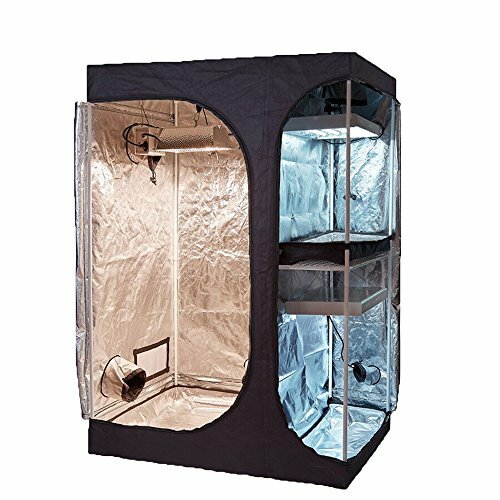 Indoor Plants Growing: 48"x48"x80" grow tent for indoor plant growing in a small apartment or house. 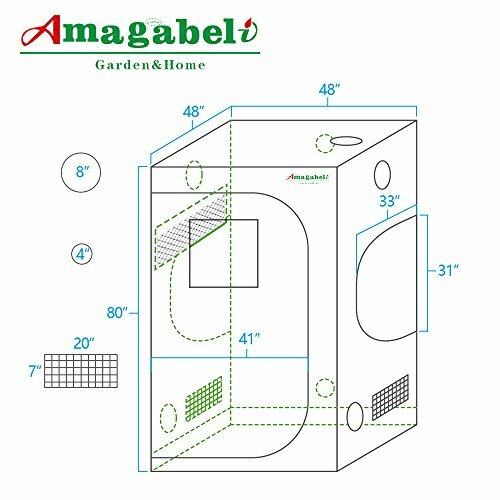 Great enclosure allows proper light, humidity and temperature for sprouting seedlings, sexing plants and flowering. 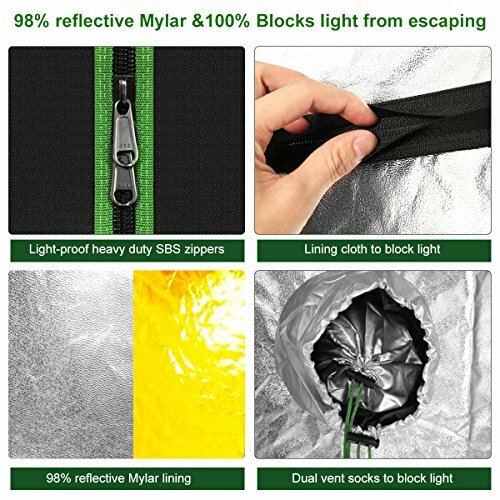 Perfect for tomato plants, pepper, cilantro, vegetable lettuce, ect.,Light Proof: 98% reflective Mylar interior lining, tear-proof 600D double stitched grow tent room kit blocks all light from escaping, HID lighting, HPS grow light and MH bulbs, no light leakage by the circular openings with double drawstrings or by observation window with light-tight seal.,Ventilation: All vent holes are circular double sleeved. 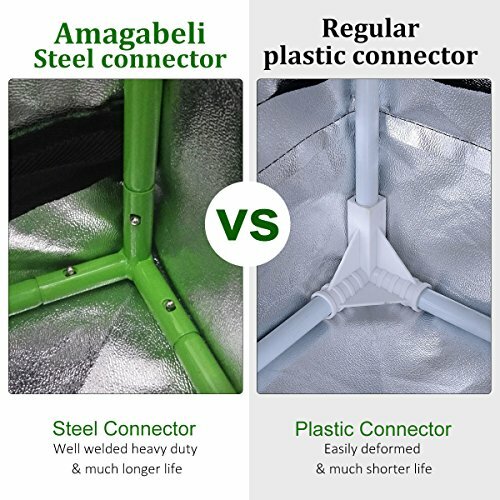 Ventilation openings are to handle cables and for air circulation by exhaust fan, ducting hose, carbon filter, ballast and reflector. 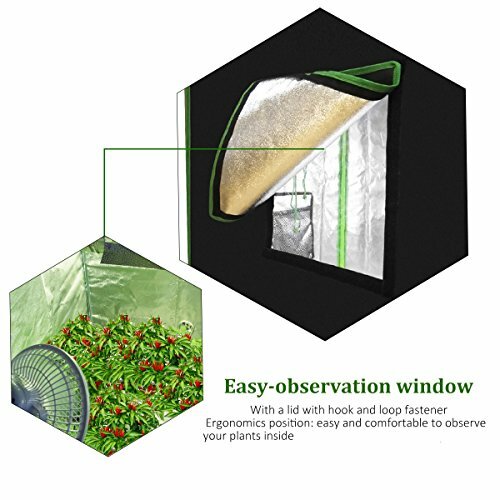 Better allows proper light, heat and air flow for seed germination and flowering period in indoor gardening horticulture.,Easy to Setup: Ergonomic and Easy to assemble. No tools needed, just make sure all the rubber feet are going the same direction. 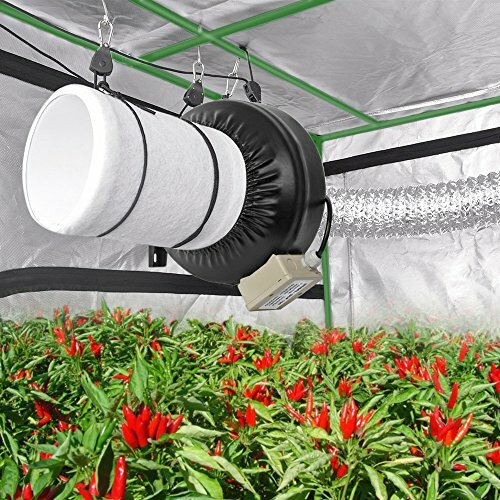 The hydroponic growing room is also easy to dissemble for clean-up or relocation. 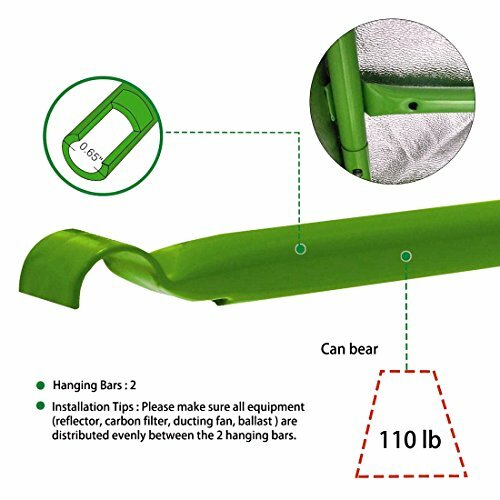 Extra canvas floor tray holds water for 3 days as a test with no leaks.,An Upgraded Version & Warranty: 2-year warranty! Return or refund can be negotiated it if your expectations are not exceeded. 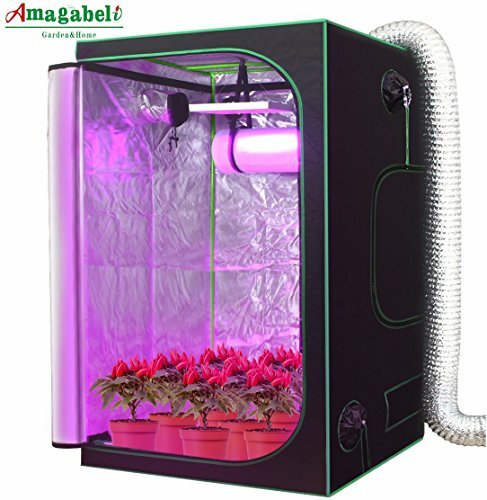 NOTE: Carbon filter, grow light and aluminum duct are for demonstration purpose only, not included. 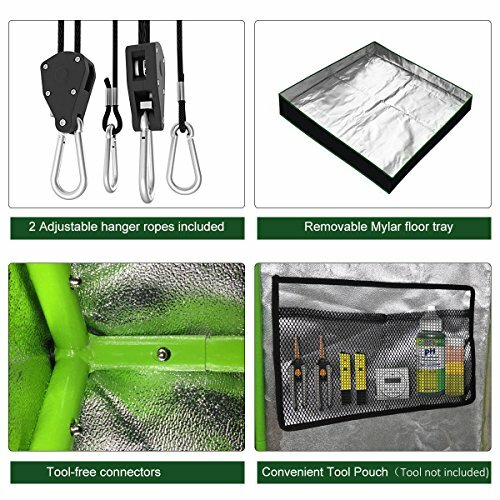 Accessories Included: 1 removable floor tray, 2 adjustable rope hangers and tool bag on the internal face. PLEASE BE NOTED THAT: This is an upgraded version. Compared with the former version, 2 adjustable rope hangers, tool bag and observation window are added.